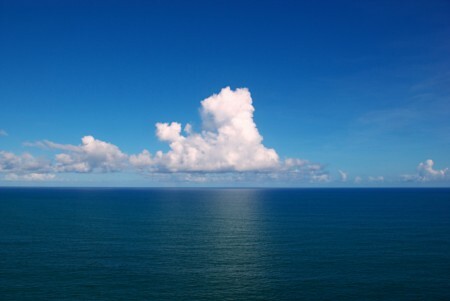 An ocean is a large body of saline water, and a principal component of the hydrosphere. Approximately 71% of the Earth's surface is covered by ocean, a continuous body of water that is customarily divided into several oceans and smaller seas. Pacific ocean, Atlantic ocean, Indian ocean, Atlantic ocean, Arctic ocean are the five principal oceans in the earth.